Qasr was situated at the high end of the Lor Mambong but offered a quite budget friendly menu if you are sharing among friends. The portions were quite big, and difficult not to share. The dinner was $280 including one drink each for a party of 6. Not too bad for a holiday weekend night out. Moussaka Batinjan. There are thousands of ways to cook eggplants, according to my ME friends. Moussaka (Greek-origin) was my favorite. But in the ME version the cheese was gone and there for turned it to a light version. I like! 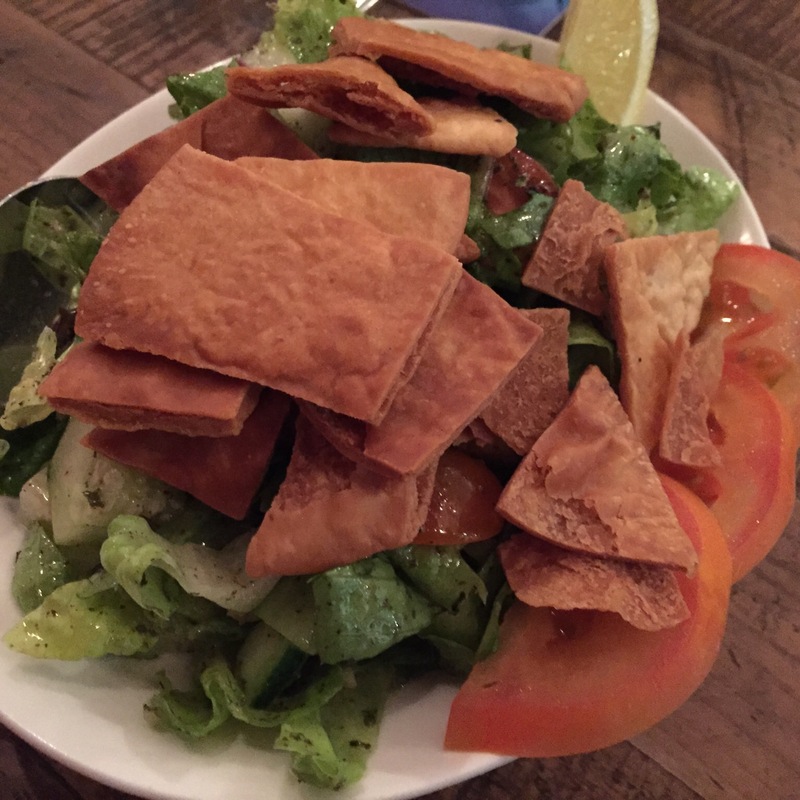 Fattoush. Lebanese salad with a ME salad tossed in liberal amount of cider vinegar, EVOO and chopped olives. Topped with crunchy pita crumbs. 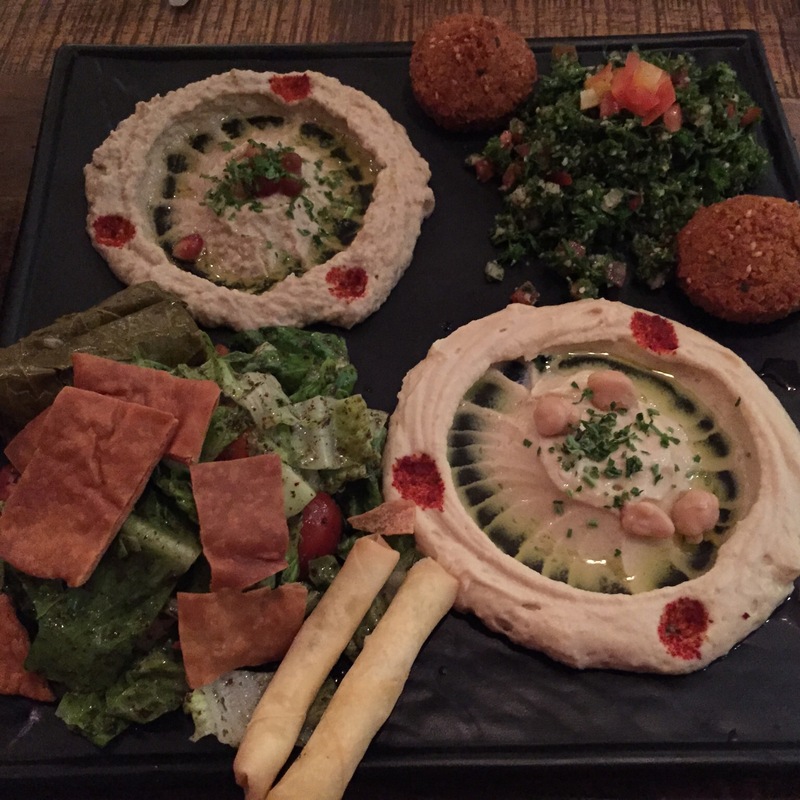 Mazze platter with hummus, fattoush, falafel, etc. 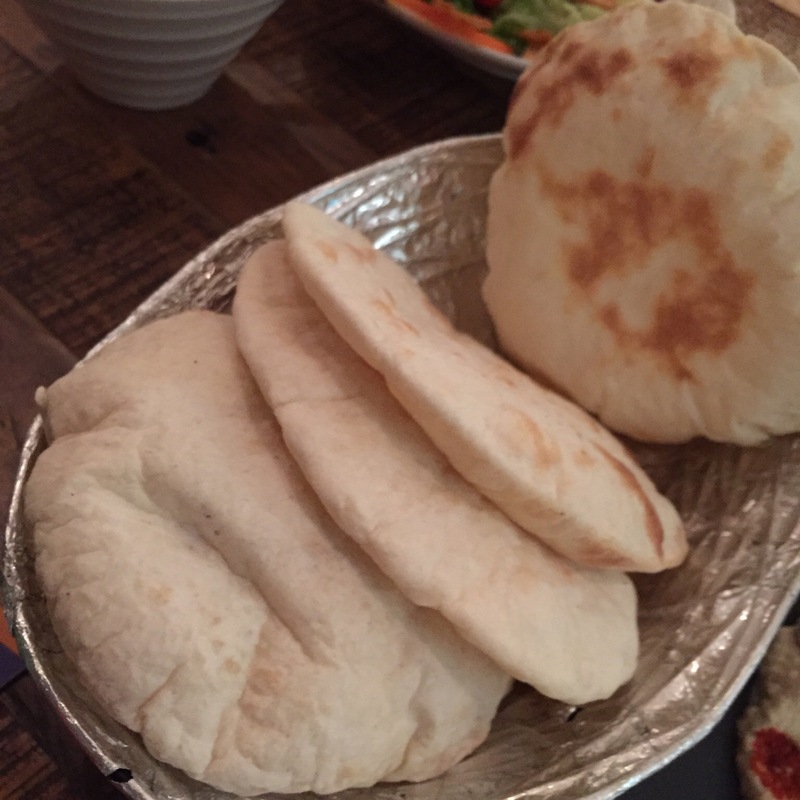 Pita bread. A bit too oily for my taste. But again my taste has shifted tremendously in recent days. 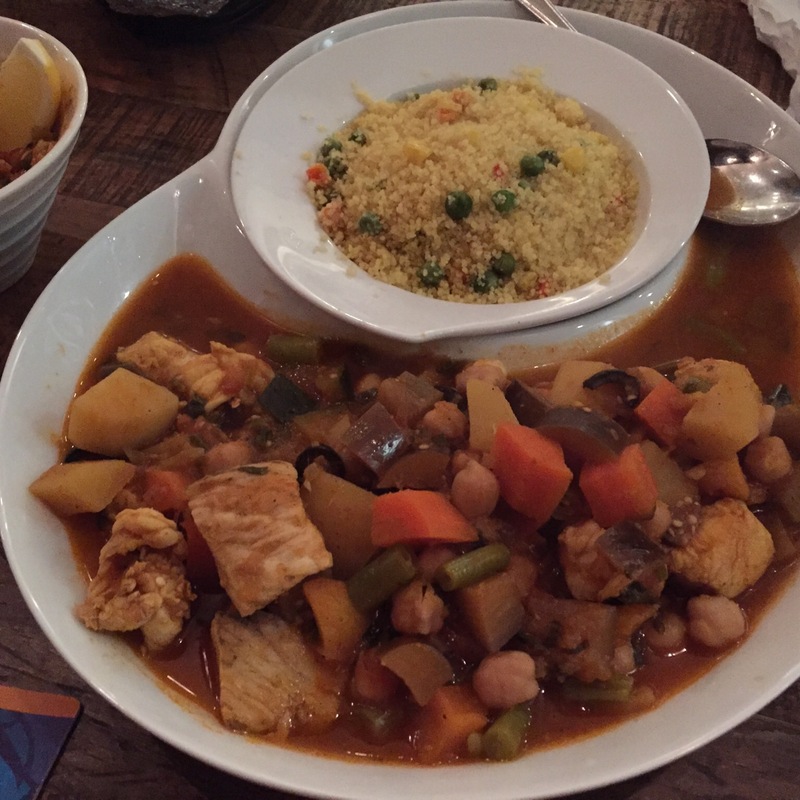 Seafood tagine with cous cous. 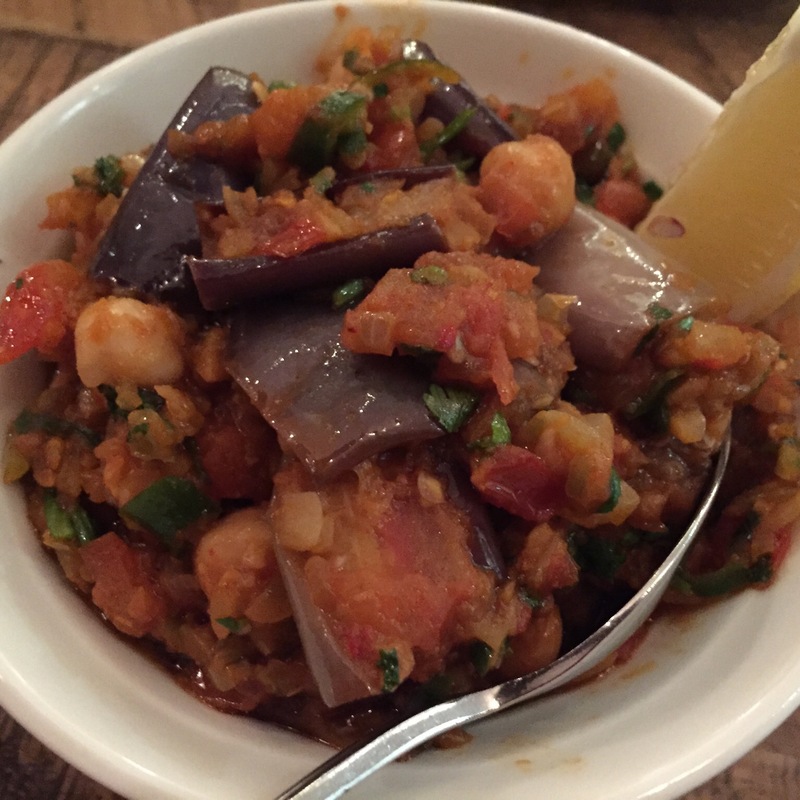 Chunks of seafood cooked in a stew of saffron tomato base. Coupled with the cous cous, it was quite a filler. 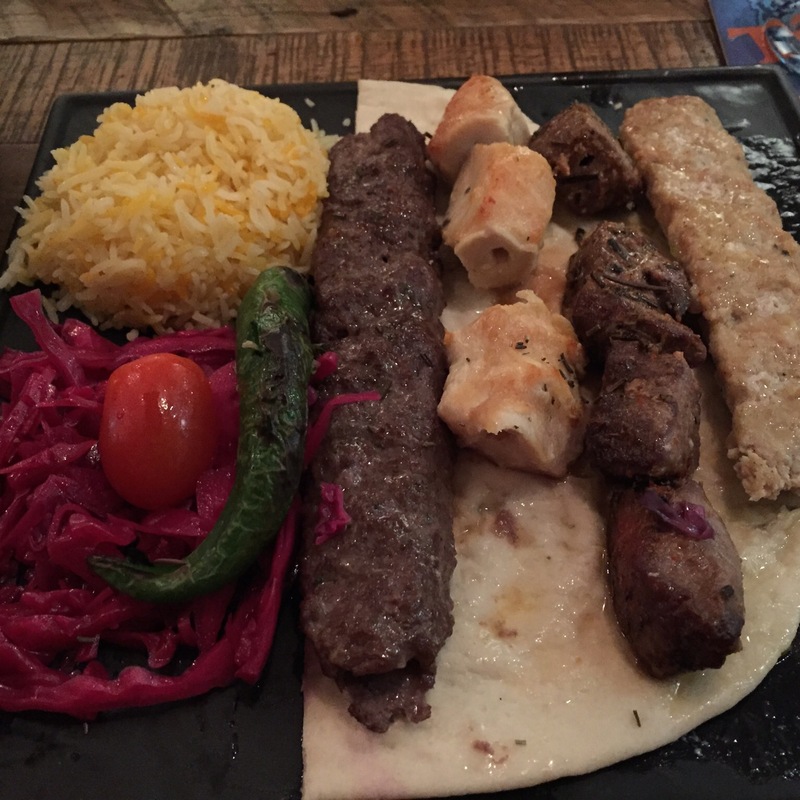 Qasr mixed grill of chicken and lamb with saffron rice. The lamb were succulent and grilled to perfection. Chicken cubes were breast meat cuts and were a bit too dry but flavorful. The shishkebabs were spiced up quite well. But I suspected MSG. 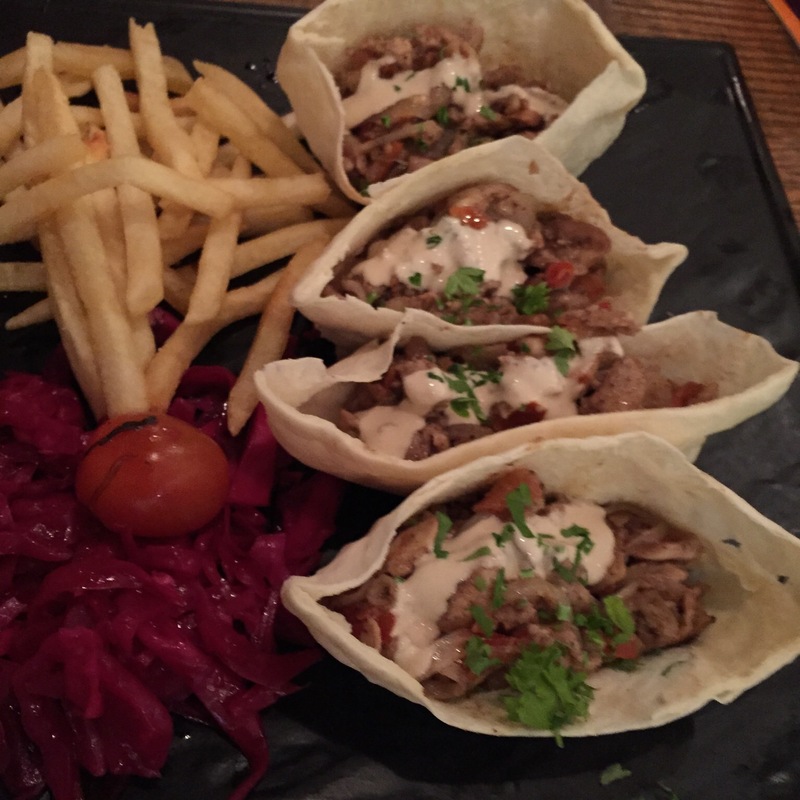 Chicken Shawarma with French Fries. The kids just walloped the fries in seconds. I guessed ME cuisine still not mainstay for children of Singapore. We ordered Haloumi (grilled feta cheese) but the kids ate it all before I could take a photo. Service was prompt. But once it got crowded (when the rest of HV got filled up and people have to move up the hill), you can see the service staff karang-kabor (stressed up and moving around like busy ants).